Mariama Bâ (April 17, 1929–August 17, 1981) was a Senegalese author and feminist, who wrote in French. Born in Dakar, she was raised a Muslim, but at an early age came to criticise what she perceived as inequalities between the sexes resulting from African traditions. Raised by her traditional grandparents, she had to struggle even to gain an education, because they did not believe that girls should be taught. 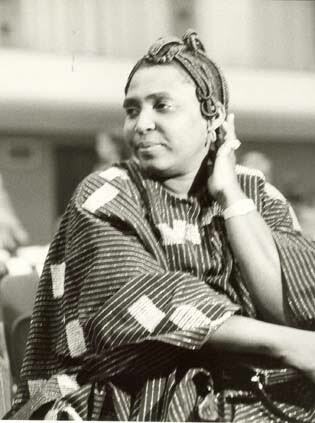 Bâ later married a Senegalese member of Parliament, Obèye Diop, but divorced him and was left to care for their nine children. This book was written as a semi-autobiographical account. Hey guys, Merry Christmas. Happy Boxing Day. Season Greetings and Happy Holidays!!! Hope you all got nice gifts?! Because I did. I have almost two months to immerse myself into reading books that are not related to my LEGAL STUDY and OH BOY! I am HAPPY! I started with SO LONG A LETTER. I have read this book TWICE. 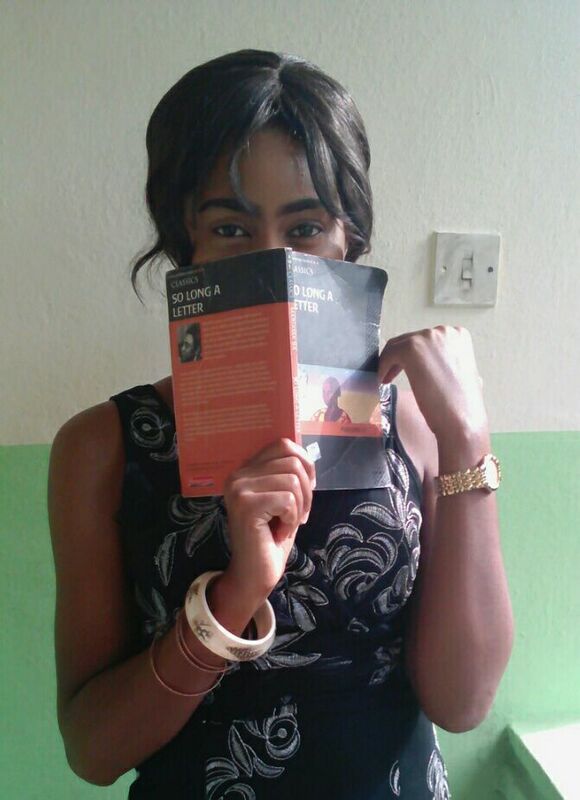 It’s one book that makes you fall in love with the words – FEMINIST, FEMINISM. It’s a book of 95pages. A very short read. You could finish it within one hour. What makes So Long a Letter a classic is not only its brave and honest account of the challenge of polygamy for women but its subtly elucidated message calling for women’s self-reliance. Bâ reveals the inner strength demanded of a woman but also, poignantly, the challenges and fears that she faces. The book is a sequence of reminiscences – Some wistful, some bitter…the letter, addressed to a friend, is a record of Ramatoulaye’s emotional struggle for survival after her husband’s abrupt decision to take a second wife. The novel is a perceptive testimony to the plight of those articulate women who live in social milieux dominated by attitudes and values that deny them their proper place. I’ll just put down some of my favorite quotes from the book. I don’t want to talk too much. I might end up telling you the whole story. After each quote, take a pause, reflect. This is the moment dreaded by every Senegalese woman, the moment when she sacrifices her possessions as gifts to her family-in-law; and, worse still, beyond her possessions she gives up her personality, her dignity, becoming a thing in the service of the man who has married her, his brother, his sister, his uncle, his aunt, his male and female cousins, his friends. Her behavior is conditioned: no sister-in-law will touch the head of any size who has been stingy, unfaithful or inhospitable. ….Today it is made conspicuously in banknotes, and no one wants to give less than the other. A disturbing display of inner feeling that can’t be evaluated now measured in Francs! And again I think how many of the dead would have survived of, before organizing these festive funeral ceremonies, the relatives or friend had bought the life-saving prescription or paid for hospitalization. Seriously, in Africa, so much is spent on the burial of an Individual. One begins to think a wedding is being celebrated or something. Try explaining to them that a working woman is no less responsible for her home. Try explaining to them that nothing is done if you do not step in, that you have to see everything, do everything all over again… The working woman has a dual task, of which both halves, equally arduous, must be reconciled. How does one go about this? Therein lies the skill that makes all the difference to a home. Others, limited in their way of thinking, envied my comfort and purchasing power. They would go into ruptured over the many ‘gadgets’ in my house…They forgot the source of this early life; first up in the morning, last to go to bed, always working. Can a man whose wife does not do her job well honestly demand a fair reward for labour? Aggression and Condescension in a woman arouse contempt and hatred for her husband. If she is gracious, even without appealing to any ideology, she can summon support for any action. In a word, a man’s success depends on feminine support. I had never known the sordid side of marriage : Don’t get to know it! Run from it! When one begins to forgive, there is an avalanche of faults that comes crashing down, and the only thing that remains is to forgive again, to keep on forgiving. Leave, escape from betrayal! Sleep without asking myself any questions, without straining my ear at the slightest noise, waiting for a husband I share. A wife must understand, once and for all, and must forgive; she must not worry herself about “betrayals of the flesh”. The important thing is what there is in the heart, that’s what unites the beings outside. Thus for the sake of “variety”, Men are unfaithful to their wives. I was irritated. He was asking me to understand. But to understand what? The supremacy of instinct? The right to betray? The justification of the desire for variety? Whereas a woman draws from the passing years the force of her devotion, despite the ageing of her companion, a man, on the other hand, restricts his field of tenderness. His egoistic eyes looks over his partner’s shoulder. He compares what he had with what he no longer has, what he has with what he could have. … One is a mother in order to understand the inexplicable. One is a mother to lighten the darkness. One is a mother to shield when lightning streaks the night, when thunder shakes the earth, when mud bogs one down. One is a mother in order to move without beginning or end. Women should no longer be decorative accessories, objects to be moved about, companions to be flattered or calmed with promises. Women are the nation’s primary, fundamental root, from which all else grows and blossoms. I am not indifferent to the irreversible currents of women’s liberation that are lashing the world. This commotion that is shaking up every aspect of our lives reveals and illustrates our abilities. My heart rejoices each times a woman emerges from the shadows. I know that the field of our gains is unstable, the retention of conquests difficult: social constrains are ever-present, and male egoism resists. Instruments for some, baits for others, respected or despised, often muzzled, all women have almost the same fate, which religions or unjust legislations have sealed. I remain persuaded of the inevitable and necessary complementary of man and woman. Love, imperfect as it may be in its content and expression, remains the natural link between these two beings. To love one another! If only each partner could move sincerely towards the other! If each could only melt into the other! If each would only accept the other’s successes and failures! If each would only Praise the other’s qualities instead of listing his faults! If each could only correct bad habits without harping on about them! If each could penetrate the other’s most secret haunts to forestall failure and be a support while tending to the evils that are repressed! The nation is made up of all the families, rich or poor, United or separated, aware or unaware. The success of a nation therefore depends inevitably on the family. family. This quote got to me. I think it answers the question when it comes to the battle between the sexes. You set yourself a difficult task; and more than just my presence and my encouragements, Books saved you. Having become your refuge, they sustained you. 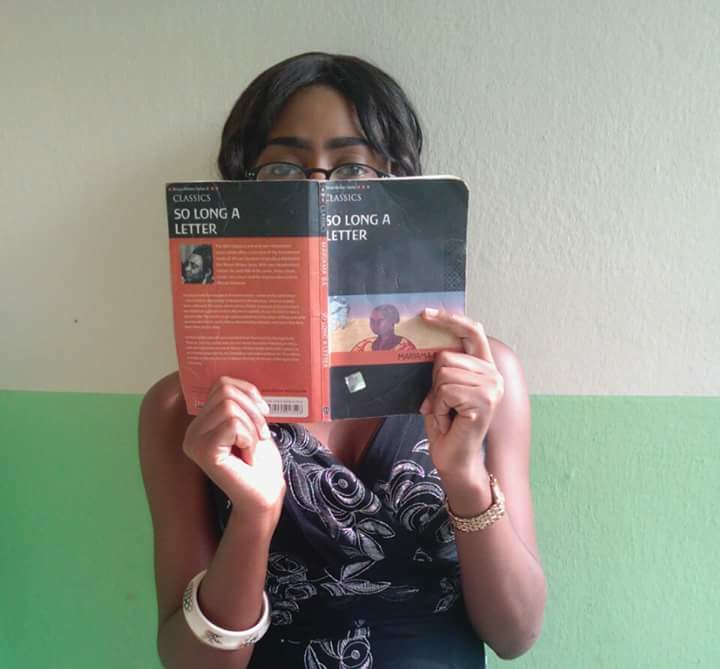 The power of book, this marvelous invention of astute human intelligence. Various signs associated with sound : different sounds that form the word. Juxtaposition of words from which springs the idea, thought, history, science, Life. Sole instrument of interrelationships and of culture, unparalleled means of giving and receiving. Books knit generations together in the same continuing effort that leads to progress. They enabled you to better yourself. What society refused you, they granted. I pray to have the courage and strength of AISSATOU. Truth is, Life is going to hit us hard. Her type of courage is very needful. I hope you get a copy and read. "You must react, go out, give yourself a reason for living. Take courage. Slowly, you will overcome"